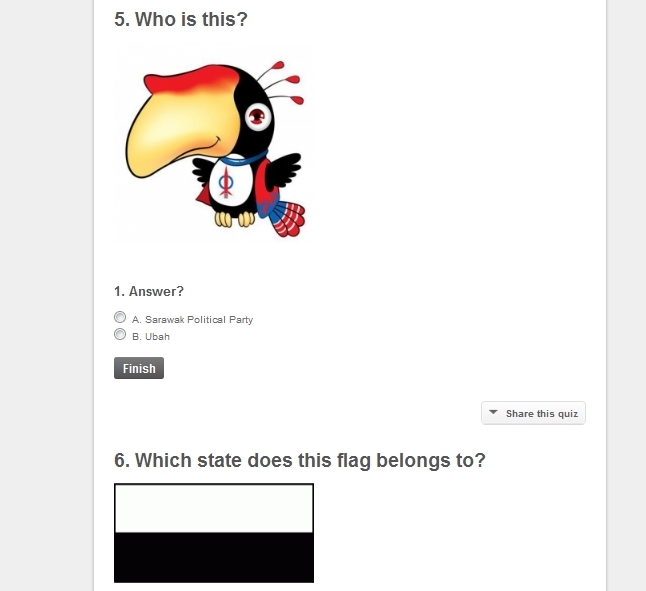 MY Blog: Funny Quiz about Malaysia, Singaporean can join too! Funny Quiz about Malaysia, Singaporean can join too! This is a 5-minutes fun quiz, comprises of 20 random questions, some are easy while some are tricky. If you have time I would strongly suggest you try out the quiz. 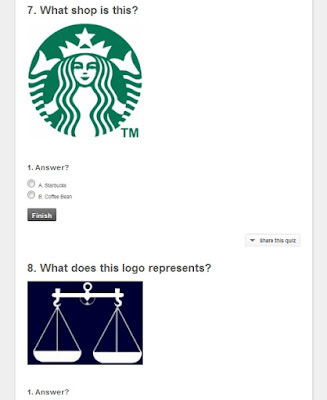 How to answer the quiz? 1. Go to the QUIZ page. 2. Scroll down the page slowly and answer one by one. 3. Tick the answer you desired, and click 'Finish'. 4. Wait for the result and average score and the proceed to next question. Your answers is definitely confidential, and you will get to see what is the average score. Go to QUIZ now and Enjoy!